Step 1: Restore the unit to full functionality before the tenant moves in. Trying to make those repairs while the tenant is moving into the unit is problematic. Tenants don’t like the disruption and contractors don’t like the interference. 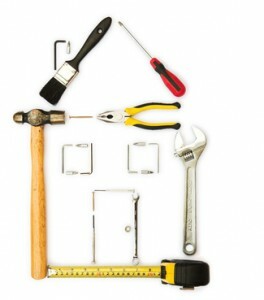 Step 2: Develop a process for reporting repairs that come up after move-in, and go over that with the tenant at leasing. Include a plan for what to do in the case of an emergency. Step 3: Keep a list of preferred contractors who will answer the call in a reasonable amount of time. Step 4: Stay in touch with the tenant throughout the process. Tenants will be more cooperative when they understand what needs to happen to get the unit back on track. Be accommodating, not antagonistic, or the tenant may hide other issues or become disgruntled. Step 5: Follow up a short time after the repair is made to confirm that the tenant is happy. Noise complaints, along with parking disputes and shared use of common areas like laundry, are common concerns for tenants. In single-family rentals, noise from adjacent property owners and parking remain high on tenants’ most-hated lists. Step 1: Warn tenants of any known, persistent problems in advance. It is better to find a tenant who will not be bothered by the 6:00 am trash pickup, airplane noise, or traffic, than to hide those realities. Step 2: In multifamily properties, include rules in the tenancy agreement for using shared spaces, noise curfews, and any other restrictions necessary to preserve quiet enjoyment for all tenants. Step 3: Develop a process for reporting noise, parking, or other disputes involving other people, and share that with the tenant. Step 4: Investigate problems as soon as possible, preferably while the event is still happening to avoid credibility issues. Step 5: To the extent possible, shield the complaining tenant from the other parties to the dispute. Don’t force the tenant to speak directly with other tenants or property owners. For instance, if a tenant in a single-family rental is complaining about the neighbour’s vicious dog, the landlord should call animal control and report the problem. If the police or others need to hear from the tenant directly, they can follow up, but forcing the tenant to handle the dispute alone seldom ends well. Step 6: Follow up with the tenant after the complaint to determine if the situation has improved. If it has not, and the dispute involves another tenant, then stricter action against the offending tenant may be necessary. Step 7: If the complaining tenant is overly sensitive or seriously unhappy remaining in the unit, consider allowing an early termination. This is particularly important if the tenant fears for his or her safety because of the dispute. Sometimes just knowing there is an “out” can help quell any remaining concerns the complaining tenant may have. If the tenant is determined to move, then it is best to have that happen quickly, before the dispute escalates or the tenant draws others into it. From time to time, a rental property will sustain some damage. This doesn’t have to be the end of the world, or the end of the tenancy for that matter. Step 1: Before leasing the property, consider the most common types of damage and adapt the unit. For instance, install door kick plates, drywall corner guards, check for water leaks, or replace old hoses on the washer. Install flooring and finishes that are easy to maintain and durable. Step 2: Anticipate that damage of same nature may occur. Provide a process in the tenancy agreement for reporting the damage, and go over that with the tenant at leasing. Step 3: Conduct a move-in inspection and complete a condition report. Allow the tenant to make changes to the report for a few days following move-in. Step 4: Determine whether any reported damage or damage discovered during a routine inspection was caused by the tenant’s negligence or misuse of the property. Discuss with the tenant that these items are the tenant’s responsibility, and work out how the tenant will pay for the repair. It’s usually not a good idea to allow the tenant to make the repair, or to hire a friend or other unskilled worker to do it. If the tenant has been forthcoming about causing the damage, it may be appropriate to work out payments or other accommodations. 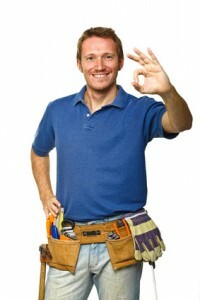 Step 5: Hire a contractor or take steps to make the repair. Work directly with the tenant when scheduling repairs. Don’t leave that up to contractors. Step 6: Follow up with the tenant to confirm that the repair is made and that the tenant is comfortable remaining at the property. Step 7: For landlords who have collected security deposits, it is helpful to offer to inspect the property three or four weeks prior to the tenant’s move-out and point to any items that could potentially be deducted from the tenant’s deposit. This allows the tenant an opportunity to restore the unit and get all of their money back. Step 8: For damage that is discovered at the move-out inspection, complete a move-out condition report. Ask the tenant to add any notations and sign the condition report. If a security deposit has been collected, advise the tenant that deductions will be taken from the deposit for any damage that exceeds ordinary wear and tear. Inform the tenant that estimates and receipts will be provided to prove the precise cost of the repair. Step 9: Ask for the tenant’s forwarding address and any updates to contact information, and then return the full deposit or provide an accounting of security deposit deductions to the tenant in the time provided by local tenancy law. Landlords who do not follow their local tenancy rules may forfeit the right to claim security deposit deductions. First of all, Thank you for the information you have provided. It’s very helpful.